The best ever line-up of professional darts stars has been assembled for an exclusive two-day event, the Dalgleish Borders Masters, which will take place on the 28-29 September at Kelso. 15-time World Champion Phil ‘The Power’ Taylor heads the list of the PDC’s top players taking part in the exciting event, which can boast an unprecedented abundance of quality. World number one Taylor is joined by reigning and two-time World Champion Adrian Lewis, seven-time major winner James Wade and five-time World Champion Raymond van Barneveld. Another World Champion, Welshman Mark Webster, is also on show, as are Australian aces Simon Whitlock and Paul Nicholson. The stunning line-up is completed by the Scottish trio of former Premier League champion Gary Anderson, 2012 UK Open winner Robert Thornton and John Henderson. The Dalgleish Borders Masters sees the world’s very best players battle it out in two exclusive tournaments, with eight players competing in the Nations Cup being on Friday September 28 before Taylor and Thornton join them for the Borders Masters, which takes place the following day. Promoters Davie Hanson and Kevin Green are delighted to have put together such a star-studded field of talent. “This really is our perfect ten,” said Hanson. “We have ten superstars of the sport and it will be a fantastic couple of days. MODUS are proud to announce an association with Next Vehicles www.carleasing.co.uk – one of the UK’s market leaders in providing business and personal vehicle leasing contracts. Many of MODUS’ star players have acquired their vehicles from www.carleasing.co.uk – including Australian ace and two-times World Championship finalist Simon Whitlock and former World Champion Mark Webster. “Next Vehicles have great deals and fantastic customer service,” said ‘The Wizard’. Next Vehicles have been providing leasing contracts in the UK for the past ten years. They have achieved success through building and maintaining a core client base in each of their branches around the country. All at MODUS are delighted to be associated with such a thriving and reputable company, who provide a fantastic service in a professional manner, with emphasis on customer service and value for money. 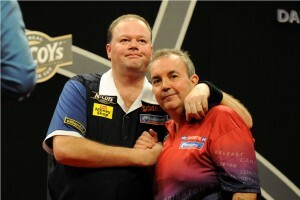 See 2012 some of the world’s top professional darts stars in action at The Untouchables,Eastbourne on Friday 19 October. This your chance to become the proud owner of a signed James Wade match shirt from the 2012 McCoy’s Premier League. And it is for a very worthy cause. The shirt, personally signed by the world number three, has been put up on eBay for the highest bidder to acquire, with all proceeds going to the TWO BRIDGES CHALLENGE and their charities that they are raising fund for (details below). 500 miles, 3 Countries, 7 days. A 20 strong team will be attempting to cycle across 3 Countries, covering the 500 miles from Pegasus Bridge in Normandy France, through Belgium and ending at Major John Frost Bridge (Arnhem Bridge) in Arnhem, Netherlands in just 7 days. Both charities are very close to the hearts of the participants and the goal is to raise in excess of £25000 with a 50/50 split for each charity. The draw for the fourth European Tour event, the German Darts Masters, has pitted Andy Jenkins against 15-times World Champion Phil Taylor in the first round. Jenkins, who qualified for the £82,100 tournament on Friday evening, will face the world number one in Stuttgart on September 7, while current PDC Unicorn World Youth number one Arron Monk is up against Betfair World Matchplay semi-finalist Ronnie Baxter. Round one sees the top 32 players from the PDC order of merit handed ties against the qualifiers. 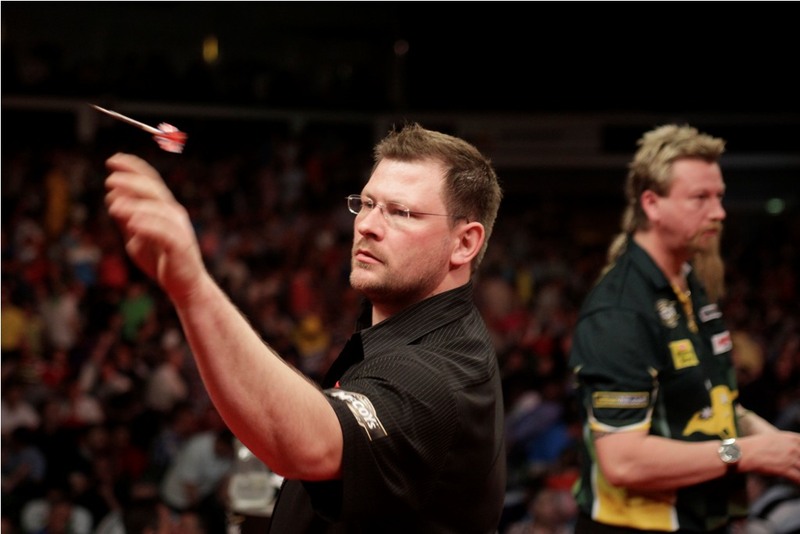 World number three James Wade will face Belgian qualifier Kurt Van De Rijck in Germany, while Simon Whitlock takes on Croatian Tonci Restovic. Raymond van Barneveld, who won the last European Tour event, faces a first round clash with 2005 World Championship finalist Mark Dudbridge. Other seeds include Mark Webster, Paul Nicholson, Michael van Gerwen and Mervyn King. Webster will play Andree Welge, Nicholson takes on Dean Winstanley, van Gerwen is up against Tony Littleton and King faces Northern Ireland’s Michael Mansell. UK Open winner Robert Thornton will begin his campaign against Kevin Munch. The German Darts Masters tournament will be held from September 7-9 at the Glaspalast in Sindelfingen, Stuttgart. Play on the opening day will see the first round played across two sessions on two stages, with the second round taking place on the main stage in two sessions on Saturday and the last 16 playing down to the champion on Sunday. Arguably the most recognisable shirt in darts, as seen on Sky Sports in major tournaments, is now on sale for the very first time. Arron Monk and Andy Jenkins sealed their places in September’s German Darts Masters after coming through the UK qualifier on Friday evening. The MODUS pair were amongst 20 players who made it through to the fourth European Tour event in Stuttgart, where they will join the top 32 from the PDC Order of Merit, with the final places being made up from the European and Home Nation qualifiers. Former under-21 World Champion Monk won through to the £80,000 tournament with a 6-3 triumph over Paul Rowley, after receiving a bye in the first round. Jenkins started his qualifying campaign by defeating Andy Relf 6-1 before booking his place in Germany with a 6-4 success over Mark Jones. The fourth European Tour event, the German Darts Masters, will be held at the Glaspalast in Sindelfingen, Stuttgart from September 7-9. The draw is expected to be made on Sunday, once all qualifiers have been completed.